Snapseed is receiving its first big update for 2017 and it’s a pretty good one. Inside, the development team has added in curves, granting additional control over brightness levels and color, ultimately leading to more comprehensive power over how your photos appear. Additionally, Snapseed also details that it has improved its face detection in the Face filter, as well as updated controls governing multiline styles. With that change, you can now choose where to wrap lines of text. 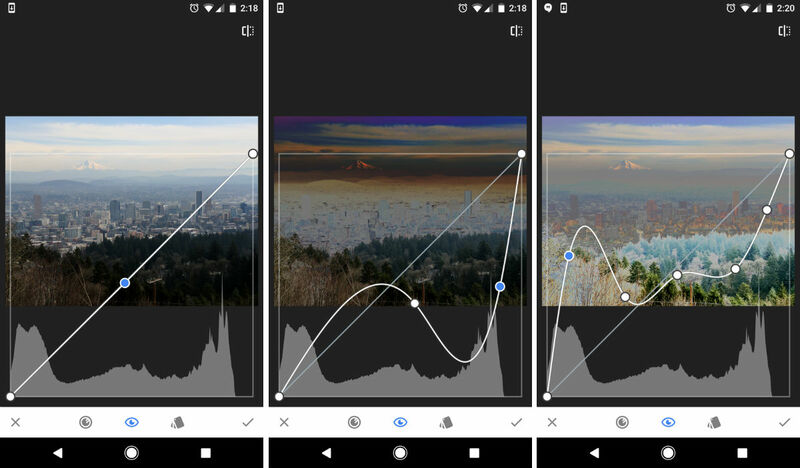 Curves gives you precise control over brightness levels and colors to shape the look of your photos. If you are familiar with Curves from desktop applications, you should be able to get started right away. If you are new to Curves, take a look at the many presets that come with the tool to help you stylize your photo. Lastly, Snapseed has updated the grain quality in the Black & White filter. Have at it, mobile photographers.